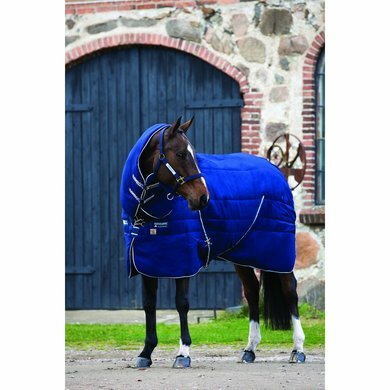 The Rambo Stable Mark Vari-Layer is made of 1000D ripstop polyester. The inner lining is made of microfiber. 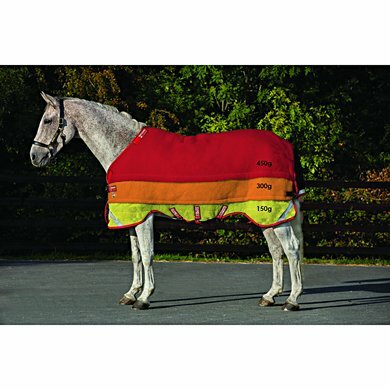 This blanket is equipped with the Vari-Layer technology. This technology uses extra layers of thermal fiber over the back and hip, which ensures that the heat is retained with less weight. 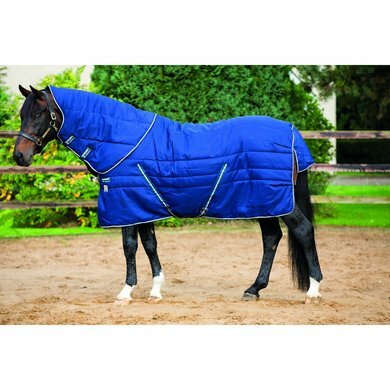 The blanket has a V-Front closure on the chest, a surefit neck design, a detachable neck with velcro closure, cross surcingles, a leg strap and a tail flap. The blanket is not waterproof and 450 grams lined. nice and warm, fits perfectly, does not shift! super Rambo blanket !! Question: Hello, I would like to know if the neck warmer is sold with the blanket or separately ?? Cordially.